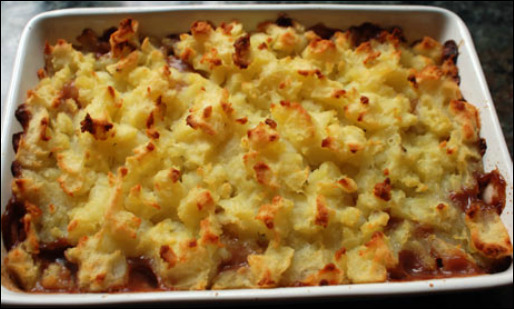 Cottage Pie - why make your own? It's a classic. Call it shepherd's pie or cottage pie, the principle's the same. Make a meaty sauce; cover it in pureed veg (usually potatoes); add some grated cheese and cook in the oven until golden brown and appetising in appearance. Not surprisingly, it's also one of the most popular microwave dishes - although that always leaves you with a soggy top! All the main UK supermarket chains market their own processed versions so here, we'll compare the nutrient quality and show what happens when you make your own, based against two examples from Sainsbury's. I don't expect the results to be very different in other countries but we will check at a later date. This can only be described as a rather watery and low fat, high-carb meal. ... or buying your own partly processed ingredients? 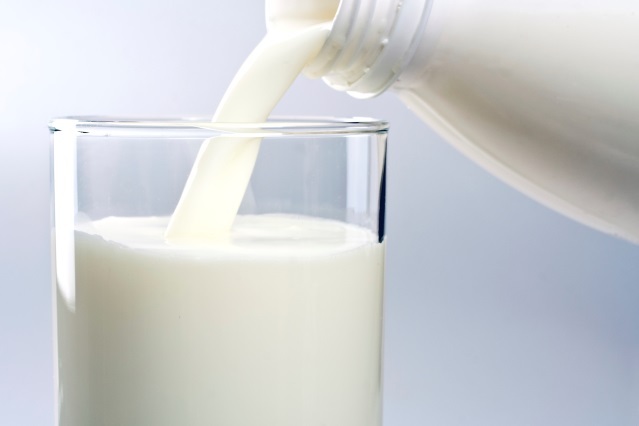 200 ml of milk shapes up in nutrient terms, rather like 100gm of Classic Cottage Pie at Sainsbury's! An example of nutritionism. This looks a bit more like a pie I'd rather eat, with the meat proportion up from 25% to 33%. Ingredients look better too, but it's still highly processed. Roasted Barley Malt Extract, Black/White Pepper. 3/ Home-made pie... nothing beats it! The quantities here allow you to portion it up and freeze some, or if you prefer, to make one giant dish! Serves 10 - 12. Less carbohydrate, more healthy fat and no additives. ... bring on the cauliflower. Depending how much cheese you use on the gratin-like top, you will add to the fat and protein content. If anything; mixing pureed, cooked cauliflower with the potatoes in equal quantities makes it taste even better. Go all the way with a cauliflower puree topped with cheese if you want to really push down those carbs. And although cauliflower provides the lowest carb version, also consider sweet potato mash or even a blend of potatoes and pureed celeriac - my particular favourite. Stretch the quantities by adding more tomatoes. Buying the larger tins or looking for bundled 3-pack offers of standard tins really helps make the economics work. And cook in bulk before pre-portioning and freezing for your future faster-food needs.